Transnet National Ports Authority’s (TNPA) Port of Mossel Bay has welcomed the judgment by the Supreme Court of Appeal to dismiss with costs an appeal by the Mossel Bay Yacht and Boat Club (MBYBC) against the judgments handed down by the Western Cape High Court in favour of TNPA on two occasions, in the MBYBC’s Review Application. In May 2018 TNPA issued a notice to the MBYBC to vacate its port premises by the end of May 2018. This was in accordance with the terms of a High Court order dated 30 April 2018 which dismissed the application by MBYBC to review and set aside the lease application awarded by TNPA to successor lessee Mossel Bay Waterfront Pty Ltd, a Mossel Bay based, woman-owned micro-enterprise, in October 2016. He found that the tender was neither unreasonable nor irrational and that the Mossel Bay Waterfront’s bid was fully compliant with the terms of the lease. MBYBC had occupied premises within the port on a lease agreement which continued on a month to month basis by agreement until a new tender was advertised for the premises in August 2016. MBYBC and Mossel Bay Waterfront were the only contesting bidders for the new tender which was subsequently awarded to Mossel Bay Waterfront. The High Court found that points awarded in the tender process to Mossel Bay Waterfront were justified for new skills development, job creation and/or preservation, small business promotion and rural / community development and regional integration. As ports landlord, TNPA operates within a legislative and regulatory environment created by the National Ports Act No.12 of 2005. This requires the Authority to follow a public process for service providers looking to provide port services and facilities. Tshikalange said the finalisation of this protracted process would enable the port and the new lessee – through its strong business model – to provide all members of society with an equal opportunity to participate in port activities. This is in line with TNPA’s Smart People’s Ports vision, which includes promoting greater public access and ensuring a vibrant port system that connects local communities to port activities. TNPA is also working closely with the Mossel Bay Municipality and Mossel Bay Tourism to develop the Port of Mossel Bay as a tourist port. 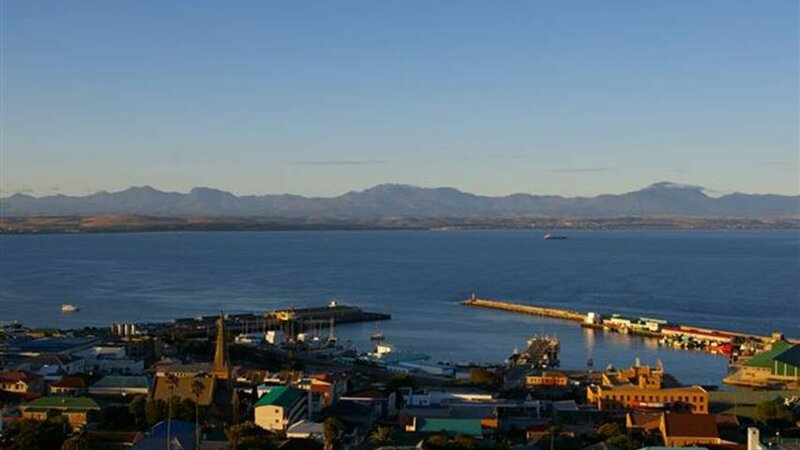 “The Mossel Bay Waterfront will help to make the Port of Mossel Bay an even bigger attraction on this beautiful coastline, with a mixed-use waterfront that could include retail, commercial and industrial facilities,” said Tshikalange. Die seiljag-en-bootklub op Mosselbaai gaan sy deure sluit. Dit volg nadat die appèlhof in Bloemfontein die klub se appèlaansoek teen twee vorige uitsprake van die hooggeregshof in Kaapstad – ten gunste van die Transnet Nasionale Hawe-owerheid (TNPA) en die Mosselbaai-hawe – in die klub se hersieningsaansoek met koste van die hand gewys het. Die TNPA het in Mei ’n kennisgewing aan die klub gerig dat hy sy perseel in die Mosselbaaihawe teen einde Mei 2019 moet ontruim. Dit was ingevolge ’n hooggeregshofbevel op 30 April waarin ’n aansoek van die klub van die hand gewys is om die huurooreenkoms wat in 2016 deur die TNPA met die maatskappy Mossel Bay Waterfront Edms. Bpk. aangegaan is, te hersien en tersyde te stel. Die TNPA het vroeër in ’n verklaring gesê die klub het onder meer die perseel van maand tot maand gehuur totdat ’n nuwe tender in Augustus 2016 vir die perseel geadverteer is. Die klub en die Mossel Bay Waterfront-maatskappy was die enigstes wat vir die tender gebie het. Die tender is aan Mossel Bay Waterfront toegeken. Rob Holden, kommandeur van die Mosselbaaise seiljag-en-bootklub, sê die klub gaan sluit. “Ons het al die opsies oorweeg, maar daar is niks wat ons verder kan doen nie.” Die klub hoop om die perseel teen Februarie te ontruim. Die TNPA het gesê hy werk saam met die Mosselbaaise munisipaliteit en Mosselbaai Toerisme om die hawe in ’n toeristebestemming te ontwikkel. I have followed the ‘politics’ of sailing in this country for many years now, especially the role our various State Owned Entities and other government bodies that affect our sport – that being recreational boating, and in my case, specifically recreational sailing. My uneasiness comes from the fact that Transnet, and more specifically TNPA (Transnet National Ports Authority), appears to have placed a target on the back of recreational boating, and is slowly but surely shooting arrows at those targets – and killing them off one by one! 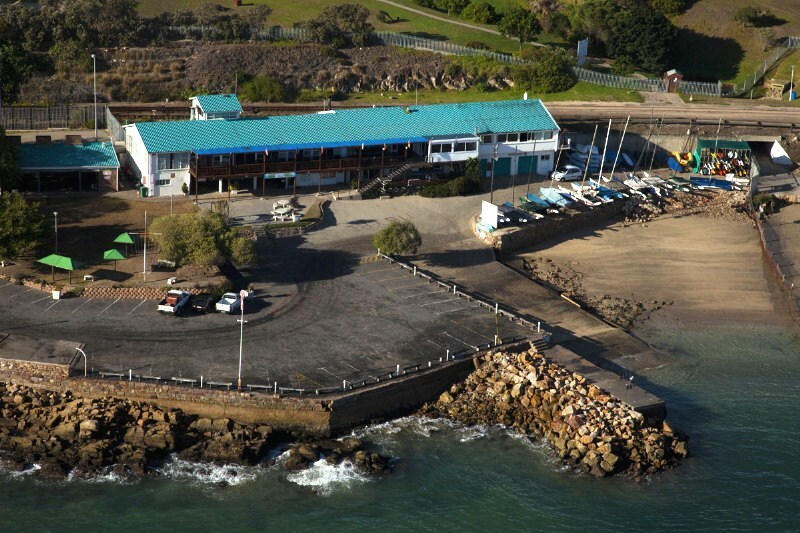 TNPA has evicted the Algoa Bay Yacht Club from its premises, the very premises it built and developed over a 60 year period with its own members money. Devastated by a fire some years ago the membership rallied and the facility was rebuilt. Today the ABYC building is vacant, and apparently about to be taken over by a cleaning business to which the TNPA have given a lease without compensating the Club for the premises it developed solely with members money. The Mossel Bay Yacht & Boat Club has been given notice to vacate its premises at the end of this month too, and undoubtedly without compensation either. Both the above Clubs were taken to court by the TNPA. Some of the clubs instituted legal proceedings by way of interdict and action against the municipality to resist the proposed evictions, after which an agreement was reached to postpone the application indefinitely pending the outcome of the action challenging the grounds for the evictions. In the interim, the municipality has undertaken to suspend all further action against the clubs. That’s no comfort for any of these Clubs, nor it’s members and the broader boating community as a whole. It also has to put the tenure of all yacht, boating and sporting clubs on Transnet land around the country under threat. Could the NSRI be under threat too? Judging by what is happening in Richards Bay, that too seems possible! Our government has no maritime rescue service and relies on the NSRI to provide that service – yet it may well evict the very people who provide such a valuable service, and at little or no cost to the Government as the NSRI raise their own operational funds through public donations and bequests. The TNPA should quite frankly be ashamed of themselves. “As a state-owned company, Transnet continues to leave an indelible mark on the lives of all South Africans. With a geographical footprint that covers our entire country, Transnet is inextricably involved in all aspects of life in South Africa. As such, we ensure that we play a pivotal role in enhancing the quality of life in all areas we operate. This extends not just to our employees, but to communities and environments as well. Through the Transnet Foundation – which is the Corporate Social Investment arm of Transnet – we have invested time and money in a number of diverse programmes around the country that provide much-need succour and assistance to our communities. Well those are wonderful words aren’t they? • inextricably involved in all aspects of life in South Africa, as they are targeting recreational boating. • playing a pivotal role in enhancing the quality of life in all areas we operate. 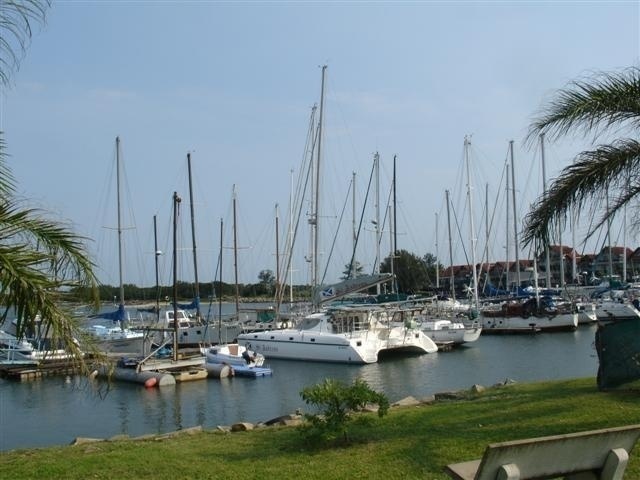 Recreational boating is being evicted from Transnet land. • extending a quality of life to communities, nor environments. Recreational boating is a large community, and is under threat from the TNPA. • harnessing the power of our people, nor are they brightening the future of millions across our continent. They cannot achieve this if they target certain groups. • provide much-need succour and assistance to our communities. The final bullet point must be some kind of joke, or the people at TNPA simply don’t understand the meaning of succour – which is: … assistance and support in times of hardship and distress. As I said above, TRANSNET and the TNPA should be ashamed of themselves. They are heartless and appear intent on destroying recreational boating in this country. The South African Maritime Safety Authority is an organisation I have bashed heads with over many years as they meddle in the affairs of recreational boating, knowing very little about the subject as they are ‘commercial shipping’ people. I penned an acronym for SAMSA some years ago being this: Suffocating AMateur SAiling. Their latest Marine Notice indicates that they may in fact have understood some of the issues, and are taking a more user-friendly role now. Here’s what Marine Notice No. 15 of 2018 says under the heading: Safety and certification requirements for foreign recreational vessels in South African waters. This marine notice replaces Marine Notice 13 of 2005 and serves to advertise South African statutory requirements and SAMSA policy regarding foreign visiting recreational vessels (e.g. yachts) that wish to stay in South Africa for extended periods and undertake recreational cruises or participate in sporting activities in South African waters. SAMSA have now understood that many cruising yachts take their time when sailing around the world, and stop in ports or anchorages for lengthy periods for maintenance and repairs, rest or sightseeing – with many being in no rush to sail through the country in a short period. So SAMSA have made concessions to their legislation which was, if nothing else, pretty damn unfriendly. Now, my message to SAMSA is simply this: Is it not time that you handed over the full control of recreational boating safety to the individual sporting codes. After all, the rules and regulations promulgated for sailing vessels are to a large degree what CASA (Cruising Association of South Africa) established many years ago as recommended proper procedure on a voluntary basis. After all, we know and understand our sport far better than SAMSA officials do! 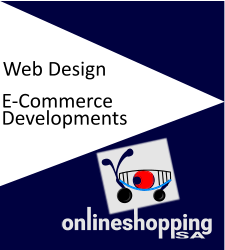 That would really be user-friendly – and may prompt the demise of the SAMSA Acronym forever! The expansion will increase the number of luxury ships that dock at the port. Transnet National Ports Authority has announced a multi-million rand transformation for the Port of Mossel Bay in the Southern Cape. The new port will include a waterfront, a dock for cruise line passengers to disembark and various other business opportunities. The company says the facelift will be a key catalyst for economic growth in the Garden Route. The Port of Mossel Bay is the smallest along our coastline. But big plans are in store for it in the next five years. Transnet wants to bring it in line with other ports around the country. The plans have been welcomed. However, businesses leasing port property fear they’ll be side-lined. Transnet say the port’s modification is all part of their plans for radical economic transformation in the region.